The College is managed by Governing Body of Paradise Foundation, Vadodara. It is a registered trust having Registration No. E-4289, Baroda. . Under the Presidency of Shri Manibhai A Shah (Vasanwala) the Governing Body comprises of eminent persons from different walks of life. Shri Manibhai A. Shah (Vasanwala) is one the founder members of first Homoeopathic Medical College (Gujarat Homoeopathic Medical College, Savli) in the state of Gujarat. He is the most respected fatherly figure to this institution. He envisioned of an ultramodern institute of Homoeopathy and has realized the dream in making of this college. His untiring efforts and the ability to help everyone in need have achieved him the beloved status of â€˜KAKAâ€™. 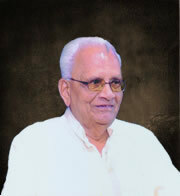 His team of trustees is an assembly of people who are truly devoted to the field of education. Their sole mission is to make quality education available for every student. The trust spares no efforts to elevate the standard of education & training in this institute. No obstacles have hindered the way of successful achievements of this college because of the inspiration, encouragement & support provided to the college administration by the management & the trustees. The strong bond between the staff, students and the management provides the whole team a unique strength which is unparallel & incomparable. 1 Shri. Manibhai Asharam Shah. 3 Shri. K J Shah. 4 Shri. Rajeshbhai Manibhai Shah. 5 Shri. KevalKrishna Gurucharandas Tuli. 6 Shri. Ashokbhai L Pandya. 7 Smt. Ninaben M Kapadia.